Infidelity is a very common cause of divorce. When people hear the word “infidelity”, people usually think of one spouse cheating on the other with another person. But the divorces in Orange County, California are not always caused by that kind of disloyalty. Studies show that financial infidelity, the act of spending money without the knowledge of the other spouse, is a common and rising cause of many marital problems and divorce. Financial Infidelity – What is it? Although the common opinion is that couples should stay together forever, reality reminds us that a “happily ever after” isn’t for everyone. There are many reasons why people decide to file for a divorce. There are of course obvious emotional and communication problems that lead to the destruction of romantic relationships. People might be surprised, however, to learn that financial dishonesty often plays a pivotal role in the break-up of many marriages. Essentially, financial infidelity is the secretive spending of money by one spouse. More specifically, this happens when one spouse owns a bank account that is unknown to their partner or when one spouse incurs debt that their partner has no knowledge of. One of the pillars of a strong marriage is honesty, and when there is any form of secrecy and deceit, that marriage is in imminent danger. Even if there is no existing extramarital affair or emotional incompatibility between the couple, financial infidelity can be damaging enough to wreck an otherwise strong marriage. How Common is Financial Infidelity in Orange County, California? Financial infidelity is more common than most people think. 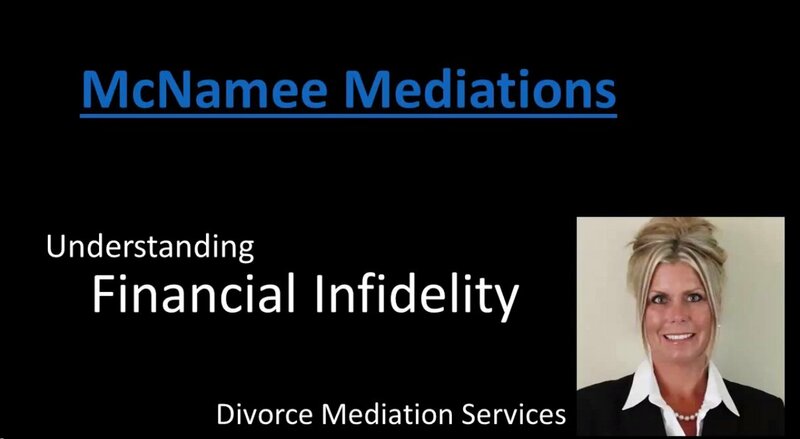 At McNamee Mediations, we have observed that in the months of January and February a lot of people call in to start inquiring about what it would entail to file for divorce. Studies show that after the holidays a lot of financial problems tend to be uncovered. Although financial dishonesty hasn’t always been the cause for divorce, it certainly is on the rise. According to a recent study conducted by Kimberly Foss, around 7 million Americans have a secret bank account or credit card account that their spouses have no knowledge of. In that study they also find that men are doing most of the hiding of financial issues. For many people, discovering that their spouse has committed financial infidelity is the reason why they file for divorce. But this deceitful act does not only cause divorce, it also makes the divorce process a lot more complicated than it should be. An example of this is a recent case of a couple that had been together for 27 years. Throughout their marriage, they had a joint account – a common place where they both placed their earnings. That shared bank account was what they used to pay for all their expenses and bills. For their entire 27 years of being married, money was always a sore subject for this couple. They were always fighting about finances. They either contended because money was being spent beyond their income and they differed on how to fix that problem, or they disagreed on methods of meeting their financial obligations that seemed beyond their means. When the time came that their children were all grown and had moved out of the house, the couple decided to create separate bank accounts, and no longer operate out of a common one. This decision actually worked great for them, and it diffused the problems regarding finances that they had long been struggling with throughout their marriage. They no longer had any financial disagreements. Years passed by and this couple eventually grew apart, and they finally decided to go ahead and get a divorce. This decision was amicable, or so they thought. When they started their divorce process, it was discovered that the husband had incurred a lot of credit card bills that he had kept secret. The wife had no idea about these problems because of the separate accounts. This discovery led to a heated confrontation, which fractured their relationship severely. The divorce process became more contentious because the debts incurred by the husband are still subject to community property laws, making the wife equally financially responsible for the husband’s decisions. Although financial infidelity was not the reason for their divorce, it certainly caused a huge strain on their relationship and destroyed their supposedly amicable divorce process. Financial infidelity is a deceitful act that has the potential to destroy many relationships. Not only can it cause problems in a marriage, it also can make the entire divorce process more complicated. Moreover, it is now a rising cause for many divorces in Orange County, California. 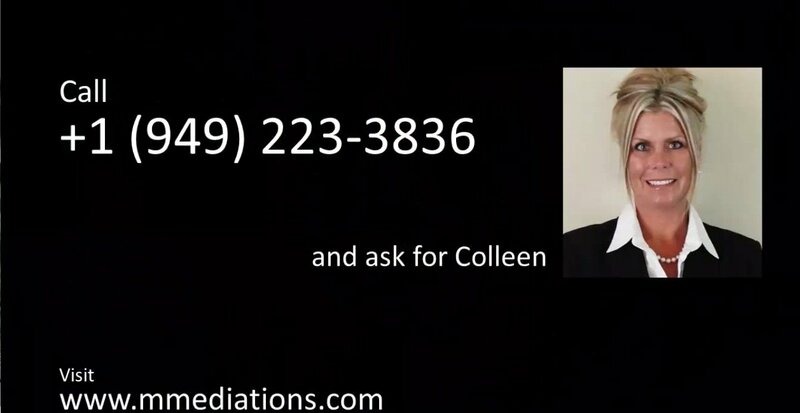 If you are wondering whether your marriage might be threatened by financial infidelity, contact Colleen McNamee of McNamee Mediations for more information on the subject. Call her at (949) 223-3836 today!